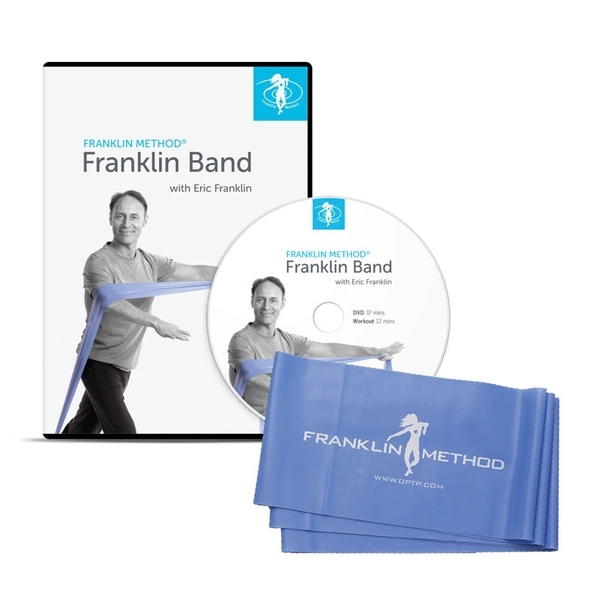 Learn how to get the most out of the Franklin Method® with this DVD and 11' blue heavy resistance Band. Perform 14 original resistance band exercises with Eric Franklin, emphasizing whole body conditioning for flexible strength and dynamic posture. In this motivational DVD, you'll use the extra-long Franklin Band to release tension, build core strength and find joy in mind-body awareness.